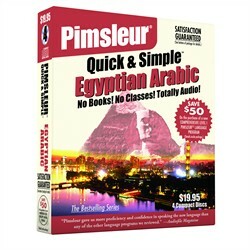 Classical Arabic is the language of the Qur’an. Arabic is closely associated with the religion of Islam because the Qur’an is written in the language, but it is nevertheless also spoken by Arab Christians, Mizrahi Jews and Iraqi Mandaeans. 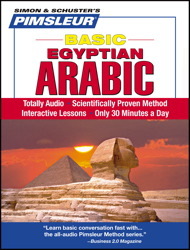 Arabic (Egyptian), Basic – Learn to Speak and Understand Egyptian Arabic . 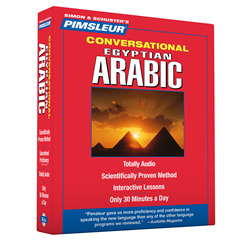 Arabic (Eastern), Conversational – Sixteen 30-minute lessons of spoken Eastern Arabic language instruction. Eastern Armenian is the official language of the Republic of Armenia. It is also spoken in parts of Azerbaijan and Iran. Western Armenian is the dialect most often encountered among Armenians outside of Armenia. It is spoken by Armenians in the U.S, Egypt, Istanbul, Egypt, and other parts of the Diaspora. Cantonese ia a tonal language, which means that each sound’s meaning is affected by the tone used to pronounce it. There are six tones or Cantonese. Mandarin is a tonal language, which means that each sound’s meaning is affected by the tone used to pronounce it. There are four tones for Mandarin. Croatian, a member of the South Slavic branch of Indo-European, is the official language of Croatia. There are three main dialects: kajkavski, čakavski, and štokavski (ijekavski), the official dialect. Czech was known as Bohemian in English until the late 19th century. Czech is similar to and mutually intelligible with Slovak and, to a lesser extent, to Polish and Serbian. Danish is derived from Old Norse. Because of the large number of similarities between Danish, Norwegian, and Swedish, knowledge of any one of these languages makes it possible to understand the others. This is true for both spoken and written forms. Spoken by between 25% to 50% and understood by over 90% of Afghanistan’s population Also spoken and understood by around 2.5 million people in Pakistan and Iran with communities who speak Dari as their primary language, but understood by every Iranian. Dari is one of the two official languages of Afghanistan. Dari is the primary means of communication, taught in schools and heard on national radio. It serves as the language of business and higher education. Dari is considered a purer form of Persian. Native to mainly the Netherlands, Belgium, and Suriname, also in Aruba, Curaçao, and Sint Maarten, as well as France (French Flanders). Region mainly Western Europe, today also in South America and the Caribbean. Dutch is the official language of the Netherlands and one of the three official languages in Belgium, along with French and German. The variant of Dutch spoken in Belgium is called Flemish (Vlaams) and is spoken by 5 million people. Linguistically, Dutch and Flemish are almost identical and they are mutually intelligible. Native speakers: 360 million. English is a second language for 375 million and a third for 750 million. In a variety of mutually intelligible dialects, English has become the lingua franca in many regions of the world. It is the international language of business, technology, and science. English is an official language of Canada, the European Union, the UK and many Commonwealth countries, Australia, New Zealand, and many world organizations, such as the UN. The United States does not have an “official language”; however, English is the de facto national language. Persian has three major dialects: Farsi (spoken in Iran), Dari (spoken in Afghanistan), and Tajik (spoken in Tajikistan). Dari and Tajik are considered a purer form of Persian – that is, they show less Arab influence. All three dialects are, for the most part, mutually intelligible. The closest relative to Finnish is Estonian; Hungarian is a distant cousin. There are three varieties of standard Finnish that are spoken throughout Finland: kirjakieli (“book language”) – used in official documents, official speeches and the daily news, yleiskieli – the standard language used in schools; it is formal and correct, though more relaxed than the “book language,” and puhekieli (“spoken language”) – more casual variety used in everyday conversation, which changes frequently. French is an official language in 44 countries and an official language of the United Nations. An estimated 50 million people around the world speak French as a second language. German is the official language of Germany and Austria and is one of the official languages of Switzerland. It is also an official language in Belgium, Lichtenstein, and Luxembourg. Greek is the official language of Greece and one of the official languages of Cyprus. Modern Greek is written using an alphabet which is based on and similar to the ancient Greek alphabet. Many modern scientific and technical words in English are derived from Greek, and it has been estimated that 12% of the English vocabulary is of Greek origin. French-based creole heavily influenced by various West African languages and it is classified as part of the Romance group in the Indo-European language family. The standard dialect is that of the central district and the capital, Port-au-Prince. Other key dialects include the northern dialect, centered around Cap-Haitien; the southern dialect, centered in the Cayes area; and the plateau dialect. Ancient (or Classical) Hebrew flourished as a spoken language from sometime before the 10th Century BC. It faded as a spoken language around the 3rd or 4th Century BC, replaced by Aramaic, but it remained as a lingua franca with scholars and was used by the Jewish community around the world. It continued as a written form for contracts, laws, commerce, and poetry. Near the end of the 19th Century, it was revived in its present form as Modern Hebrew and replaced a score of languages spoken by Jews at this time. It was declared an official language in British-ruled Palestine in 1921, along with English and Arabic. In 1948 it became an official language of the newly-declared state of Israel. Hindi is one of 23 official languages of India, and is reported to be the second most commonly spoken language in the world. Approximately 500 million people around the world speak a dialect of Hindi. Included in that estimate are speakers of the many regional dialects of the language, which are often quite different. “Hindustani” is the term used to describe a closely related series of languages or dialects. Hindi is a close relative of the Urdu language spoken in Pakistan, and speakers of the two languages can often understand one another to some extent. While only a small percentage of Indonesia’s population speaks Indonesian as its first, or native, language, almost 100 percent of the population speaks it as a second or third language. Indonesian is mutually intelligible with Malay, the language of Malaysia, although minor dialectical differences exist. There are numerous Indonesian dialects, all of which are mutually intelligible. around the city of Galway), Munster (spoken in Counties Kerry and Cork), Ulster (spoken in County Donegal). The dialects are mutually intelligible, and all three dialects are heard in Dublin. Native to Italy, San Marino, Malta, Switzerland, Vatican City, Slovenia (Slovenian Istria), Croatia (Istria County), Argentina, Brazil, Australia. Widely known among older people and in commercial sectors in Somalia, Eritrea, Ethiopia and Libya; used in the Federal Government of Somalia. Native speakers 61 million Italian proper, native and native bilingual. 85 million all varieties. Italian is the official language of Italy and San Marino, and one of the official languages of Switzerland, Croatia, and Slovenia. Historically, Italian is a daughter language of Latin. Italian uses the Roman alphabet and the pronunciation of the language follows the spelling very closely. Japanese has many “registers” – levels of politeness. In the 3rd and 4th century AD, the Japanese borrowed the Chinese writing system of ideographic characters. Since Chinese is not inflected and since Chinese writing is ideographic rather than phonetic, the Chinese characters did not completely fill the needs of the inflected Japanese language in the sphere of writing. In the 8th century AD, two phonetic alphabets, or kana, were devised: Hiragana and Katakana. They are used along with the ideographic characters (or kanji) to indicate the syllables that form suffixes and particles and for foreign loan words. Korean is the official language of both North and South Korea. It’s also spoken widely in neighboring Yanbian, China. There are approximately seven regional dialects. All dialects, except that spoken on the Jeju Island, are mutually intelligible. Korean is written in the Hangul alphabet, a phonetic alphabet created by King Sejong the Great in the 15th Century. It is characterized by syllable blocks containing two to four letters. Lithuanian is a Baltic language, closely related to Latvian, although they are not mutually intelligible. Lithuanian has two main dialects: Aukštaičių (Aukštaitian, Highland Lithuanian) and Žemaičių/Žemaitiu (Samogitian, Lowland Lithuanian). Each has three sub-dialects. The standard Lithuanian is based on W. High Lithuanian. Lithuanian is written using a modified Roman alphabet. Norwegian is closely related to Swedish and Danish. There are hundreds of spoken dialects that are mutually intelligible. There are two official written forms of Norwegian: nynorsk (literally, new Norwegian) and bokmål (literally, book language). These standards emerged after Norway separated from Denmark in 1814. Ojibwe were historically located mainly around the outlet of Lake Superior, which the French colonists called Sault Ste. Marie, they referred to the Ojibwe as Saulteurs. Ojibwe who subsequently moved to the prairie provinces of Canada have retained the name Saulteaux. Ojibwe who were originally located about the Mississagi River and made their way to southern Ontario are known as the Mississaugas. Pashto has many dialects, the three primary ones are: Northern – as spoken in Kabuland Jalalabad (Afghanistan) and in the Northwest Frontier Province (Pakistan); Southern – as spoken in Kandahar (Afganistan) and Balochistan (western Pakistan and eastern Iran); Central – as spoken in Wazirstan (northern Pakistan). These three dialects are mutually intelligible. The northern dialect is spoken in Kabul, which will be understood through all Pashto-speaking regions. Pashto is also called Pakhto, Pushto, Pukhto, Pashtu, or Pushtu. Native to Poland; bordering regions of Ukraine, Slovakia, Czech Republic; along the Belarusian–Lithuanian and Belarusian–Latvian border; Germany, Romania, Israel. See also Polish diaspora. There are many dialects of Polish. Standard Polish is spoken or at least understood throughout contemporary Poland. The Portuguese spoken in Portugal differs from the Portuguese spoken in Brazil, although in vocabulary, grammar, and pronunciation they are mutually intelligible. Punjabi is the only tonal language in the Indo-European language family. It is most commonly written using the Gurmukhi script. There are ten Punjabi dialects which are , for the most part, mutually intelligible. There are four main dialects of the language: Daco-Romanian is the official language spoken in Romania. Megleno-Romanian is spoken in the Balkans. Istro-Romanian is spoken in Istria and Croatia, closer to Italian than to Daco-Romanian. The Daco-Romanian dialect is used in both Romania and Moldovain the mass media, in schools, and in colloquial speech and writing. Romanian is written in a modified Latin alphabet. Moscow and St. Petersburg, account for slight pronunciation differences between speakers, but accurately depicts contemporary spoken Russian. The new editions reflect substantial changes in the language in the post-Soviet period. Russian is written using the Cyrillic alphabet. Spanish is a common second language — the most studied after English. The difference between Castilian Spanish as spoken in Spain and Spanish as spoken in the Americas (now called Latin American Spanish) is due to the diminishing contact between Spain and the Americas over the centuries and to the influence of local languages in the Americas. These two main variants of Spanish are mutually intelligible. Swahili is the most widely-spoken African language, with approximately 50 million speakers in East and Central Africa. Business and cultural exchange have one begun to make it more prominent and useful to outsiders. Swahili is now used throughout the region, in settings ranging from everyday communication to government and commerce. Swedish is similar to Danish and Norwegian. These languages are mutually intelligible to a certain extent, more so in written than in spoken form. Swedish is a descendant of Old Norse, the language spoken in Scandinavia during the Viking Era. New vocabulary was introduced during different eras as a consequence of religious and commercial interaction with other cultures. The Gustav Vasa Bible (1541), began a movement towards a more consistent Swedish. The Swedish alphabet is a Latin-based alphabet consisting of twenty-nine letters: the same twenty-six as in English plus three additional vowels (å, ä, ö). Pronunciation, however, is quite different from English.